Ingredients: ginger *(43%), liquorice *, lemon grass *, black pepper *, lemon peel *(4%), peppermint *(4%), lemon oil *(3%), hibiscus *, dried lemon juice *(2%). 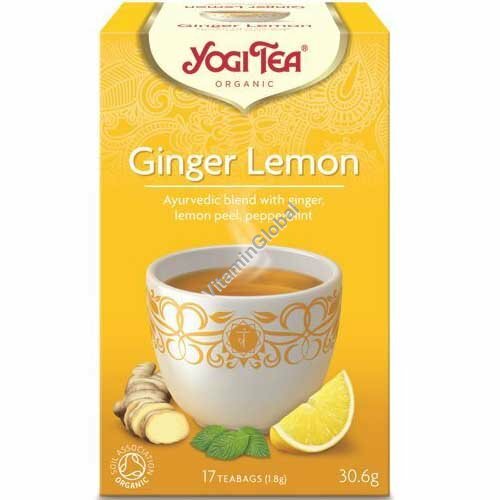 Pour 250ml of freshly boiled water over the Yogi Tea Choco Aztec Spice Organic Teabag. Allow to infuse for 7 minutes or longer for a stronger flavor. Add milk or milk substitute and sweetener to taste.